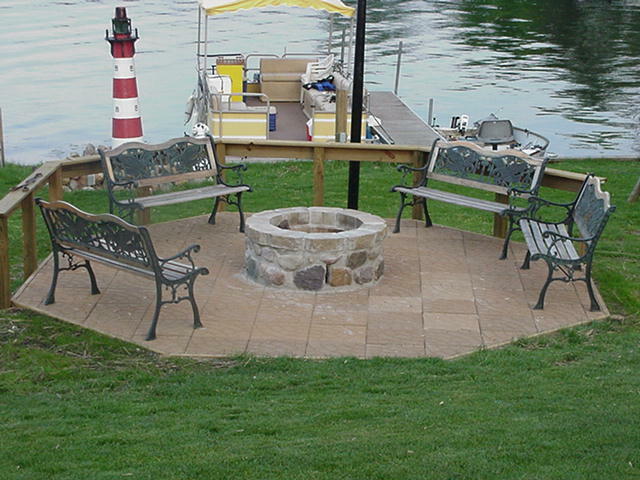 This is our camp fire area, the fire ring was built by a very good friend of ours Shannon Mays of Erie Michigan. Thanks Shannon. Looks like a very inviting place to sit by the warm glow of the fire and chat with freinds. Please Note: We will no longer be using our Dmci e-mail address. Please update your address books. We have a two night minimum, call us for weekend or just a couple of nights anytime. Rates starting at $80.00 a night. "Blairs Hide Away" is located just accross from our place. They are new to the area and have openings available for the 2010 season.They are our friends and neighbors. They have recently renewed the cottages previously known as"Cranks Place", and offer a large space to set up horse shoes or a volley ball tournament.